See Chris Malta’s Top Ten ‘Wholesale Tips’. In video Tip 2, you’ll learn WHY some wholesalers are not eager to work with home business or online retail, and discover how to successfully approach a wholesale supplier to request a wholesale account. When you need products to sell online, it’s important that you buy from ‘real’ wholesale suppliers and ‘real’ dropship wholesalers (a.k.a. 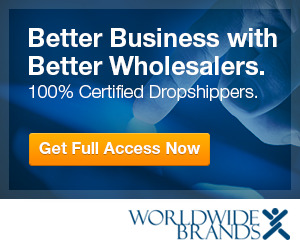 wholesalers who drop ship) every time; this is how you achieve the highest profit margins in your internet business. You’ll see why some wholesale distributors are reluctant to work with online retail, and find out what you can do to increase your chances of getting a wholesale account when you find wholesale suppliers or dropshippers that you want to get wholesale products from.